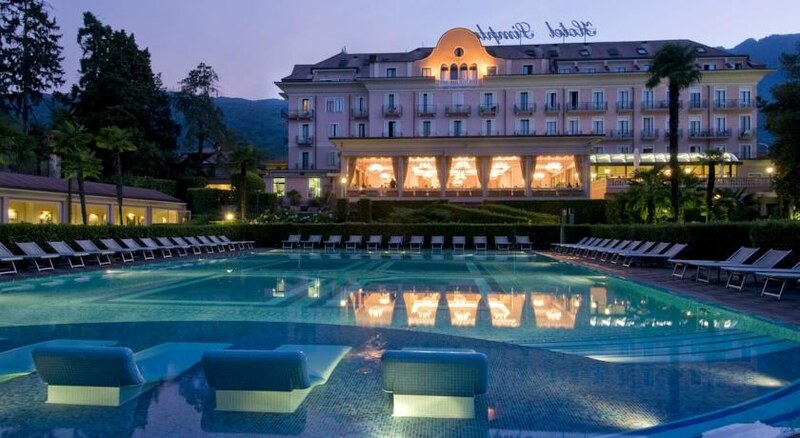 Welcome to the Simplon - Baveno in Baveno. 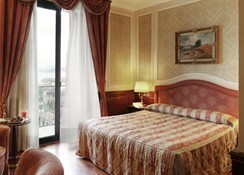 To make your stay more comfortable air conditioning is available. The staff in this 4 storey hotel speaks French, English, Spanish, German and Italian. For guests who wish to be mobile, car rental, motorbike rental and bicycle rental can be arranged. A playground for children is available. A fresh water swimming pool, seasonally open with a separate children's pool is available. Refreshing drinks are offered at the pool bar. Sunshades and sunbeds are available free of charge at the pool. Distance from the hotel to: train station (800 m), horse riding (7 km), disco (30 km) and airport MXP (40 km). 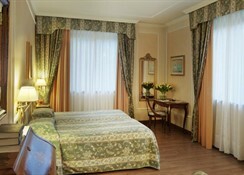 The hotel is within easy reach of tourist information, supermarkets, shops, bus stops and taxi stands. 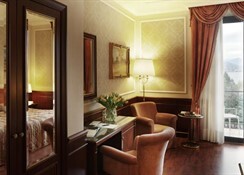 Each room is en suite and includes a minibar and a flat-screen TV. The floors are in parquet or carpet. The breakfast type is Buffet. Guests are welcome to enjoy their meals at the restaurant. A snack bar is also available throughout the day. Evening drinks can be enjoyed at the lobby bar. 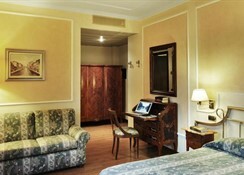 A variety of activities are provided by the hotel such as table tennis. Guests who wish to be active on holiday can enjoy activities such as exercise in the fitness room. Golfers have the opportunity to play at the nearest golf course which is 10 km from the hotel. Wellness and health facilities are offered where guests can relax in a solarium.